Chicago Glass Repair 1(773)701-3746 As a leader in glass repairs Any Day Glass will deliver speedy and professional home glass repair replacement services in Chicago and the suburbs. Looking to get more information on our Chicago insulated glass or double pane glass units? Our Double Glazing units or Insulated glass provides two panes of glass that are bonded to both sides of a unit to develop one system. The area in between the panes of glass might be filled up with Argon Gas to raise the insulating property of the insulated units. Our IGU or Chicago double pane glass units include glass consisting of Laminated, Low E, Toughened, reflective and tinted. Thank you, we will respond as soon as possible. Your laminated glass when broken minimizes the danger of any threat from damage this type of Chicago laminated glass will hold together and will not shatter into pieces. Different efficiency qualities can be contributed to laminated glass utilizing a specifically picked interlayer. Our Chicago Low E glass style reflects the radiation instead of absorbing it, enhancing insulation. Low E glass is readily available in a series of colors consisting of Clear, Grey, Green, Blue and Neutral. Anyday Glass provides Chicago single pane glass or single glazed units which are most often damaged. For example, you may notice a crack in a corner. You have the option of ignoring the crack, but this does weaken the integrity of the entire pane of glass. Fortunately, in this situation, replacement isn’t usually too expensive. 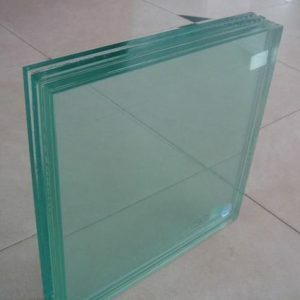 Our Chicago tempered glass units provide you safety from dangerous shards of glass this glass is a standard for doors and may be required by law. Our Chicago insulated glass units are crafted with glass in thicknesses from 3mm to 12mm, and our glass is made using double or triple pane glass divided by a sealed gas or air space to reduced the heat transfers from the sun across your residential or commercial building and our specialty argon gas filled insulated units can contribute to reducing your energy costs. © Any Day Glass 2015-2017. All rights reserved.